Do you enjoy hot showers, sanitizing your laundry in your washing machine and warm, sudsy water when cleaning your dishes? It’s a creature comfort we all depend on every day. For most of us, just the thought of a cold shower leaves us shivering in our shoes. Most water heater manufacturers place the typical lifespan of a water heater at anywhere from 8 to 12 years. Sure, that doesn’t seem like a long time, but being an observant homeowner and scheduling routine maintenance can extend the life of your water heater. 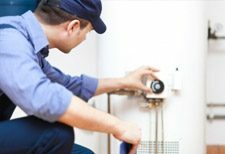 Here are some important tips every homeowner needs to know about their water heater. Tip #1: You need to visually check your water heater for any problems. Be thorough, and check all around the water heater. Use a flashlight for hard-to-see areas. There shouldn’t be any signs of rust, drips or leaking water. If there is, you need to call a professional. Tip #2: Don’t store or lean items against your water heater. A good rule of thumb is to keep household items, especially combustibles, at least two feet away from your water heater. Tip #3: Remember that the lifespan of a water heater is typically 8 to 12 years. So, it’s important to make note of the age of your water heater. The date is usually in code in the Serial Number on the tag on the side of the water heater. Once you have the Serial Number you can call the manufacturer or call Bommer Plumbing at 856.783.6721 to find the age. The manufacturer recommends annual maintenance. When you do the recommend service you can extend the life of your water heater. These are basic things every homeowner should know about their water heater. But the water heater is comprised of many parts. So a complete annual inspection is recommended to ensure that you and your family members enjoy your hot showers and baths for years and years. Tip #4: Check the water heater temperature gauge and adjust as needed. The location of the temperature control can vary depending on the type of water heater you have, such as gas, electric or oil. The temperature control may be concealed behind a metal plate. The recommended temperature setting is 120 degrees Fahrenheit. For an electric water heater, make sure to turn off the power prior to opening the plate and adjusting the temperature. There may be exposed electrical wires causing an electrical hazard. Gas water heaters read low, hot and very hot. For a more accurate reading, take a standard thermometer and run it under the closest faucet to the water heater. These are basic things every homeowner should know about their water heater. But the water heater is comprised of many parts. So a complete annual inspection is recommended to ensure you and your family members enjoy your hot showers and baths for years and years. 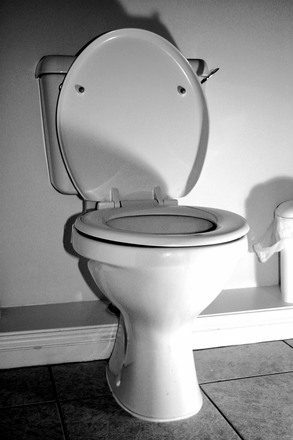 Tips for a running toilet. If your toilet is running there is a simple test you can perform. First, remove the lid from the tank, then add a few drops of dark food coloring. Don’t use the toilet, but instead, wait an hour. If the color has reached the toilet bowl, then you have proof of a leak. So you’ll need to turn off the water to the toilet by turning the valve clockwise. 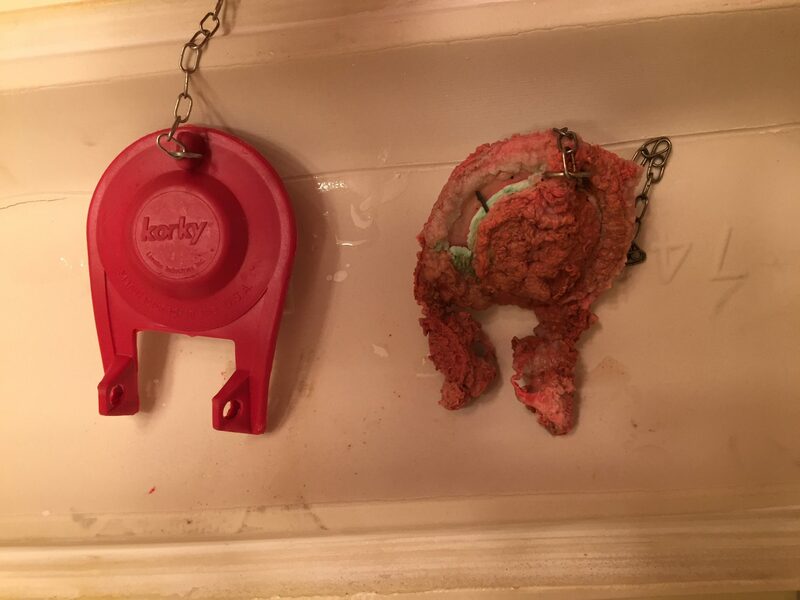 It is usually on the left side under the toilet. Reach in and lift the flapper. The water from the toilet will drain, giving you access to the bottom of the tank. Using a good sponge, clean the bottom of the tank and the surface that the flapper sits on. Even the smallest amount of sand or rust can cause a leak. Then turn the water back on and do the color test again. If the color still appears in the bowl, you need to shut the water off and drain the tank. You can take the old flapper with you to purchase a new one of the same type and replace it yourself. If the problem is still not solved that could indicate that the problem is more complicated. 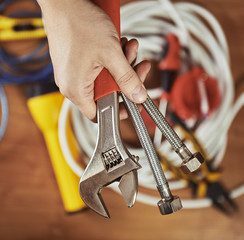 If you need professional help we at Bommer Plumbing will be glad to help you out. Just pick up the phone and call 856.783.6721! If you wish we will check your entire home while we are there at no extra cost. Don’t flush money down the toilet! 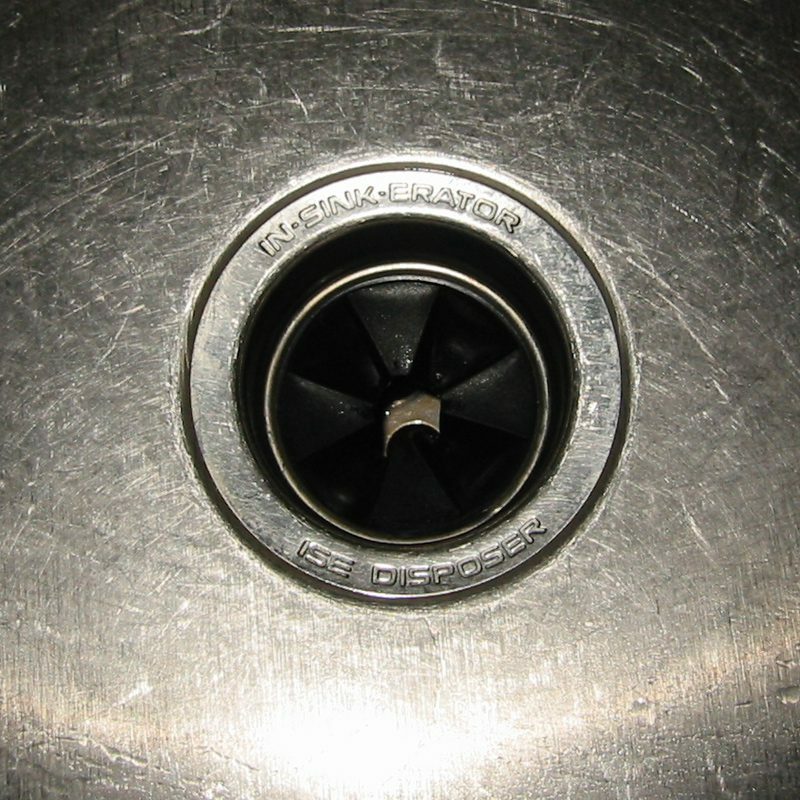 Your garbage disposal works best when small particles are mixed with water. Always run the cold water when using a garbage disposal. If you’re frying bacon or have a pan filled with grease, pour that into another container, then throw it out. A good rule of thumb: scrape as much as you can into a trash can first, then go to the sink. To keep a disposal clean, run water and add ice. This will clean the blade, as well as interior surfaces. You can also add small pieces of orange rind, or lemon, to deodorize unwanted smells. We do not recommend putting potato peels in the disposal. It is not recommended putting stringy things like celery, egg shells, or cigarette filter tips in your disposer. The best thing to do is the read the instructions before using your disposal. Can’t find them…Google it! Remember to run the cold water for a minute after grinding the waste. That will clear the drain and help prevent stoppages. If your disposal becomes clogged try a plunger. If the disposal only hums when you turn it on, that indicates the blade is jammed. Most manufacturers include a wrench with the unit. That wrench is inserted in the center of the bottom of the disposer. Apply gentle pressure until the wrench moves freely. It is important to reset the disposer by pushing the red bottom under the disposer. This will reset the motor. If the problem persists call a professional at Bommer Plumbing 856.783.6721.